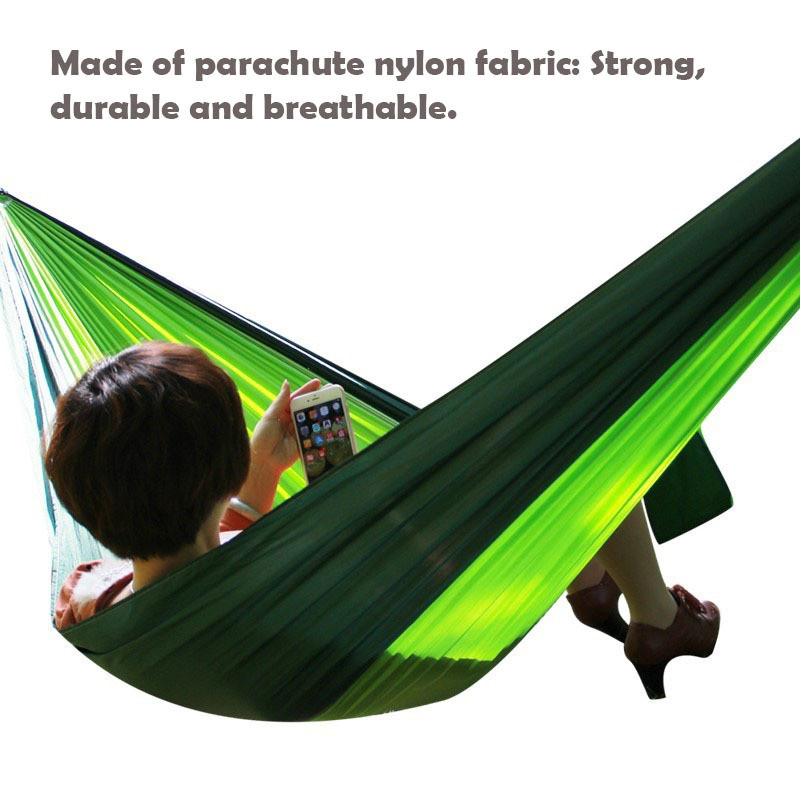 Made of parachute nylon fabric: Strong, durable and breathable. 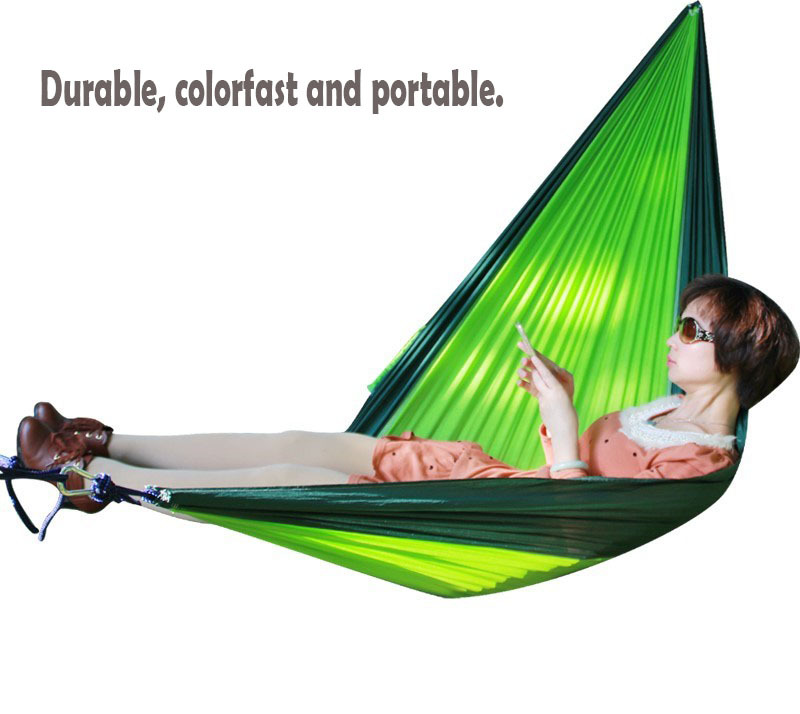 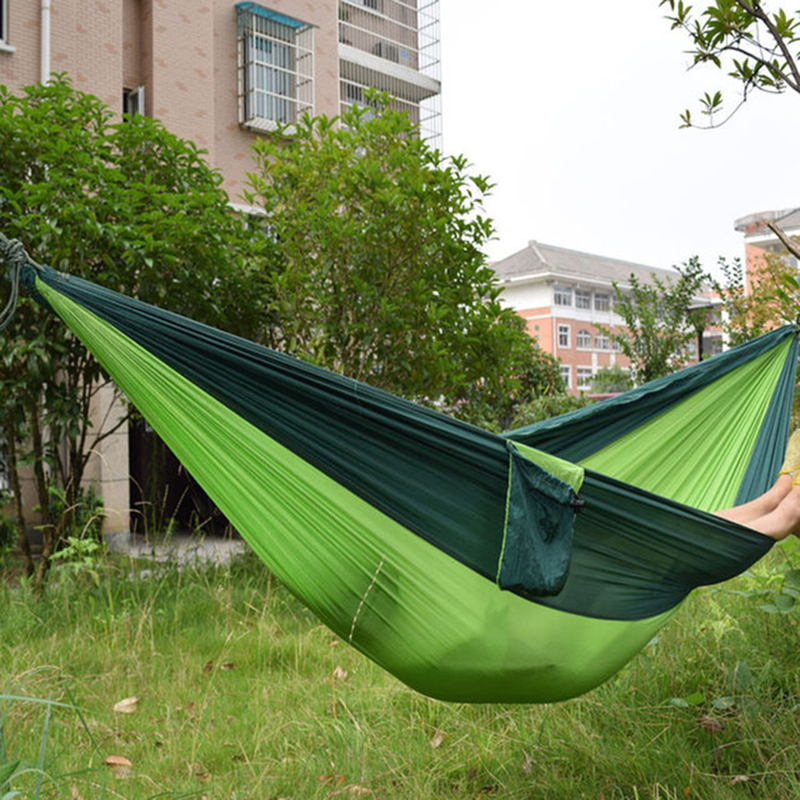 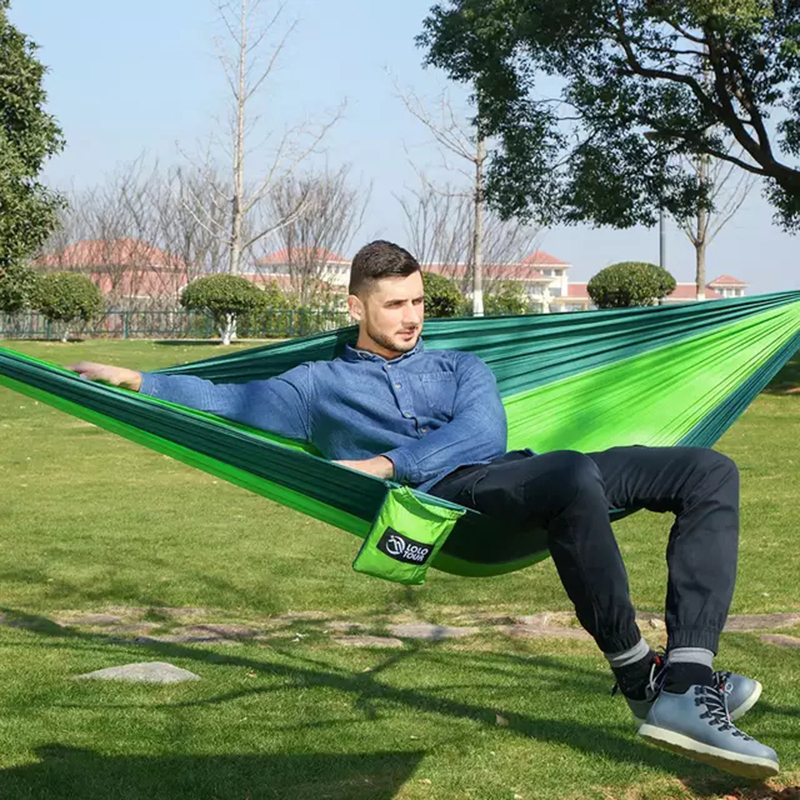 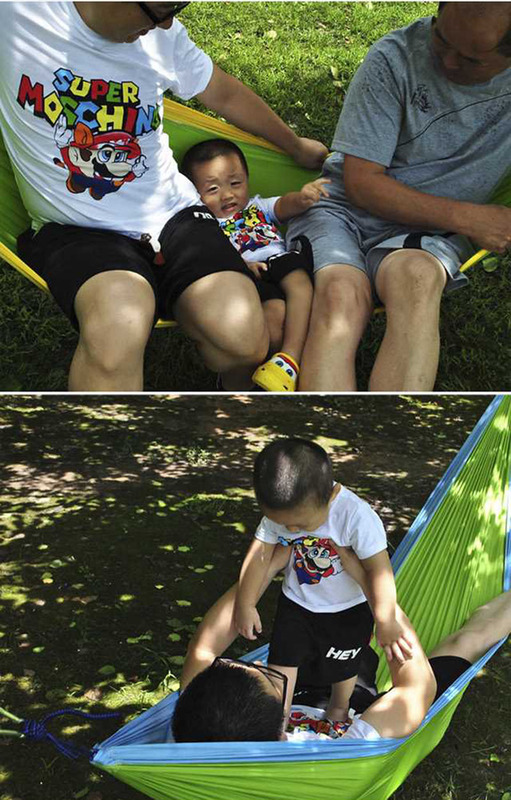 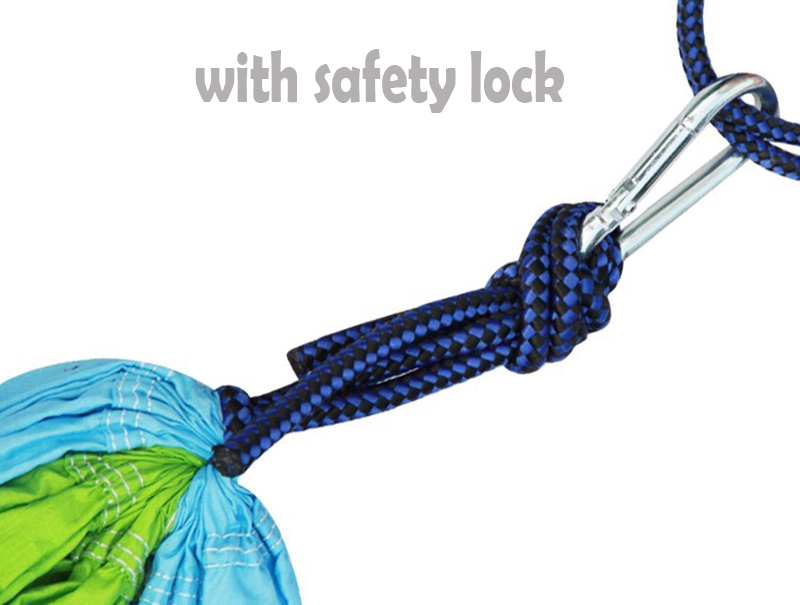 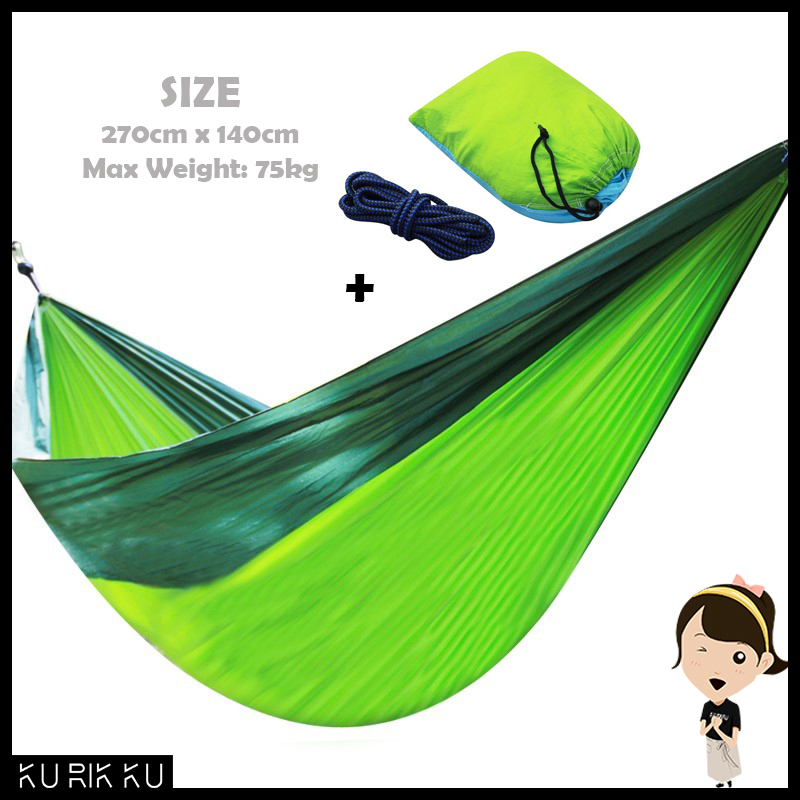 It is attached with an ideal drawstring sack to make the hammock easy to carry and use. 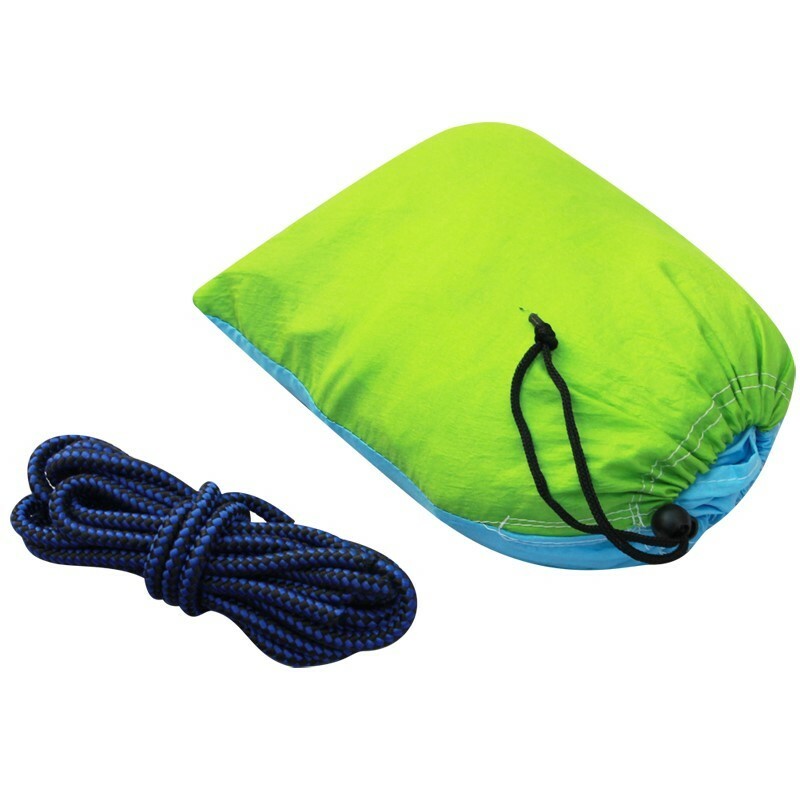 The hammock can be folded into this sack which is attached to the side of the hammock when not in use.